Main square in Ocotlán Ocotlán de Morelos is located 30 kilometers from the city on hwy 175. 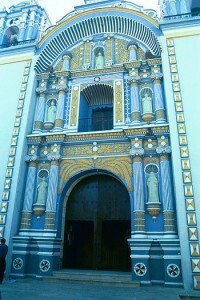 16th century exconvent and Dominican temple which was recently restored with the financial help of artist Rodolfo Morales. Paintings of Morales are exhibited at the late artist's home. Market day is on Friday with many handicrafts displayed in the main square. Dominican church 8 km to the west is the undeveloped archaeological site of El Cerrito. 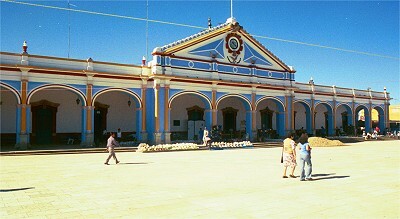 See more photos of Ocotlán de Morelos. See Getting and Giving Back, an essay by Stan Gotlieb.